Hacker group “TeaMp0isoN” (Team Poison) has published what appears to be the address book and other private data of former British Prime Minister Tony Blair. The leak includes the names, phone numbers and addresses of numerous British politicians and personal contacts, as well as Blair’s National Insurance number, the equivalent of a Social Security Number in the US. The data, published to Pastebin.com around 6:30pm EST Friday, was originally stolen “via a private exploit” in December 2010, according to the Team Poison post. The group says that they “still have access to the mail server.” According to a Blair spokesman, however, the data was not obtained from Blair himself, but rather the personal email account of a former staffer. TriCk says that the leak is retribution for Blair’s role in the “War on Terror” and his support of the US-led war in Iraq. 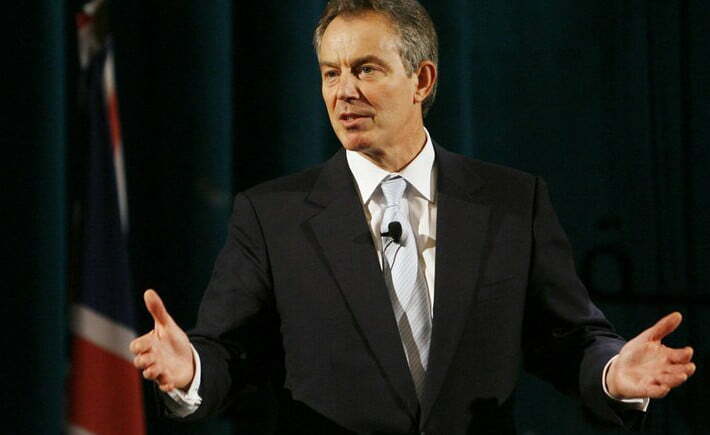 “Tony Blair is a war criminal, he should be locked up,” writes TriCk. Team Poison, a long-time hacker group that has ties to Pakistan, made headlines earlier this week after waging “war” on rival hacker group Lulz Security (LulzSec). The attack entailed defacing the website of one Sven Slootweg (aka “Joepie91”), who Team Poison claims is a member of LulzSec. Slootweg denies any involvement with LulzSec. Earlier this week, LulzSec rocketed into mainstream consciousness after releasing a massive cache of documents belonging to Arizona law enforcement. The leak contained hundreds of classified documents, intelligence bulletins, names, email addresses, passwords and phone numbers of Arizona police officers. The group says the leak was retaliation for Arizona’s controversial immigration bill that requires Arizona immigrants to carry registration documents at all times.